Tofu nutrition is about a cheap high vegetable protein food for all. Tofu nutrition is not just for vegans. This wonderful vegetable extract came originally from China. It's made from the soya bean; a very high protein food but it is not from an animal source. That makes it ideal for vegans, but can be enjoyed by anybody, of course. 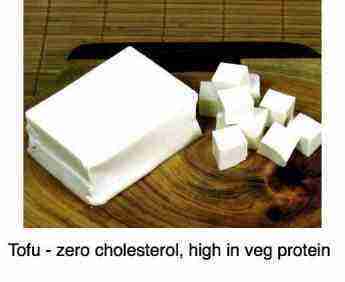 There's a big plus as, unlike animal products, tofu has zero cholesterol. That is unusual; meat, eggs, cheese and milk are laden with low density lipoprotein; that's the bad stuff. Normally I'm hesitant to recommend extracts; oranges are healthy but OJ, at least the kind you buy in a box, is junk. Home juiced citrus, if you include the pulp, can certainly be called a good food. So, what about soya beans versus tofu? Well, yes, the fibre has been removed but many of the vital ingredients of the legume are successfully extracted when the milk is made. Tofu is made from the soya milk. Plus, allow me a bit of a personal opinion; I simply don't like soya bean products that are often used to make fake hamburgers, for example. But tofu, that's another matter; it's so easy and quick for the busy person wanting to prepare a healthy meal in a jiffy. It's good, slow food, made fast. What are phytosterols and why are they so important? What role do they play in tofu nutrition? What is tofu is a question that everyone should be able to answer; it's good food, cheap and very easy to prepare. Further, the food industry of whom I'm generally suspicious, has messed seriously with soya products, whether it's genetically modified, solvent extracted oils, made into protein isolates or turned into low fat soya milk. But tofu if far less processed and, whilst not a true whole food can be considered far closer to what is natural and wholesome. Plus millennia of consumption of tofu in the East has not produced the serious side effects of the processed foods made in the West in the last century. Better still, tofu nutrition is loaded with cholesterol like substances called phytosterols. They compete directly with cholesterol at absorption sites in the small intestine, inhibiting the absorption of cholesterol from other foods that you have eaten at the same sitting. Eating only two grams of phytosterols a day will reduce the bad cholesterol in your bloodstream, called low density lipoproteins, by a massive 10 percent. That's a lot. For many it means the difference between having to take those nasty cholesterol lowering meds called statins, and not taking them. Only two grams. This isn't a biochemistry lesson but if you really want to grasp the importance of tofu nutrition in your diet then you do have to understand something of phytosterols and amino acids. Really, it's not rocket science. Tofu nutrition, like eggs, say, does not contain all the essential amino acids. Some studies suggest taking 1.5 to 3 grams of phytosterols or stanols in frequent small doses daily may reduce total cholesterol levels by up to 17 percent. There are also suggestions that in addition it may protect against cancer. Certain of these amino acids are essential for constructing healthy tissues in the body. If your diet is deficient in them, you will develop a serious disease called kwashiorkor. These essential building blocks can only be obtained from your food. Non essential amino acids are also healthy but, if they are not in your diet, your body can manufacture them from other protein. Not so with the essentials. They are a must. So, what's the beef with animal products? Animal foods like meat, milk, cheese, and fish have all the essential amino acids. They also contain an important vitamin, B12, that may be deficient in a vegan's diets. It's difficult to obtain it from vegetable sources. So, if you are a meat eater, you need not be concerned with amino acid deficiency. And our mutton stew is a great favourite. In fact, if you eat fish or fowl, or even eggs you need not be worried by the thought of kwashiorkor. Beans, peas, and chickpeas, all legumes, make up the staple protein source for most of the people on our planet. Ultimately, we will probably all be forced to join them. There's less and less space for meat production, and if the population continues to explode the way it is, it will become prohibitively expensive. The bean family, called legumes, are a great food, and a great protein source, but they have one important deficiency; they do not contain all the essential amino acids. In particular, L lysine. Fortunately L lysine is found in abundance in grains. So, over the centuries, vegetarians have combined legumes and grains to make up the perfect protein cocktail; the mixture contains all the amino acids your body simply must have. Breast cancer and prevention. Eat less animal products and more legumes for your protein. Don't be put off by that 5 grams of fat. It's of a high quality; remember the brain is 60% fat. You must have it in your diet every day. The right kind, not the fast-food sort. What are trans fats and why are they bad? They are found in hydrogenated foods. Omega-3 essential fatty acids are known to reduce the bad fraction of blood cholesterol (LDL), whilst not lowering the good fraction (HDL). These fatty acids are found in fatty fish, flaxseeds, walnuts, butternut squash and, yes, soyabean products - tofu nutrition. A serving of tofu nutrition contains a quarter of the required daily allowance of omega 3 fat in the alpha linolenic acid form. A low omega 3 diet is also strongly associated with inflammation in the body. As are Parkinson's, Alzheimer's and a host of neurological diseases; eat more omega 3 by enjoying tofu nutrition. Tofu nutrition is also rich in vitamins. For example, vitamin B1, is known as Thiamine, a deficiency of which causes generalised muscle weakness. Read the fascinating Thiamine story; it's the first vitamin that was discovered. A helping of tofu contains about 10 percent of your daily B1 needs. If you eat mainly white, refined rice then you are probably B1 deficient, and may well have mild symptoms of beri-beri. Thiamine is found in brown rice, tofu, sunflower seeds, nuts, chickpea garbanzo bean dip and many other whole foods, but is deficient in processed grains like white flour. Dieting is a hugely controversial, yet vitally important subject in our increasingly obese, heart-attack ridden, painful arthritic hip, knee and foot Western society; can you lose weight without dieting? Absolutely; grasp the meaning of glycemic index and you're half way there. Research that 95% of people who diet, looking at all of them together, one year later have lost no weight, and many have put on. In our opinion, the most effective weight-loss diets are those that are very low, perhaps very, very low in carbohydrate like bread, pasta, sugar, potato, rice; those with a high glycemic index. This makes tofu nutrition an ideal food for you if you need to diet. Tofu is rich in protein, but also in the healthy unsaturated fats. One of the joys of tofu nutrition is that it fits in beautifully with our slow food, prepared fast philosophy. Personally I'm not crazy about soya beans but tofu, the protein extract, is marvelous. It comes precooked and a tofu dish can literally be prepared in 5 minutes; yes, only a few moments. Chop and fry an onion in a little olive oil. Add a clove of garlic and a slither to two of fresh ginger, and any other herbs you like; perhaps some chili. Open a container of tofu; drain, chop into blocks, and add to the mix. In another two minutes your tofu is ready to eat. The brown rice will take a little longer. The moment you get home, turn on the kettle, and place a cup of brown rice and one handful of lentils in a pot, adding a little sea salt. Bring it hard to the boil for ten minutes, and then turn it off. Place it in a warm place such as a hot box, if you have one; or just cover it with a towel. Then when you are nearly ready for dinner, you will only need to heat the rice for a quarter of an hour more. Better still pressure cook your brown rice and lentil mix. If you don't follow Dr Ben Kim, google his wonderful site. He recommends tossing on your block of warmed tofu a mixture of two tablespoons of soy sauce, one teaspoon of sesame seed oil, a few drops of vinegar (I would rather add freshly squeezed lemon juice), and chopped green onion tops. Grains like rice, lentils and of course your tofu are all loaded with phytosterols; that's how to keep your cholesterol down, and yet still be able to enjoy cooking with butter; and some ice cream for dessert. How to cook with tofu isn't rocket science. Scoop a few blocks into virtually any dish you are making. Always add a handful of lentil protein when preparing your rice. At around 40 cents per helping, with very little energy required for preparation, tofu nutrition is a cheap, ideal food for the busy family. In all honesty, I hate soya beans. But tofu nutrition I love. What is it? Just a beautiful food. 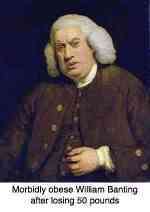 We're having it tonight, true's Bob. Time to get the brown rice and lentils on. Oh, whole grains, fruits, and all legumes like beans, peas, garbanzos and lentils, and most vegetables are the great sources of phytosterols. The golden rule is eat a minimum of FIVE of these per day. I aim for ten; we are not enthusiastic about cancer and heart attacks in our family. If five is the minimum, ten must be better, right? Indeed; in fact strong research shows that folk who eat on average eight coloured foods per day have a 35% lower all cause of death. Hot flushes, or opvliegers as we call them in Holland, are caused by the sudden drop in oestrogen levels as the ovaries begin to fail; tofu nutrition is part of the solution. Because phytosterols are a plant hormone, I read many reports claiming that women who eat tofu regularly don't get post-menopausal discomfort. Isoflavones have a very similar structure to estrogens, with hydroxyl groups on the 4 and 7 positions; this gives them pseudo hormonal properties and they bind on estrogen receptors in the breast reducing the absorption of estrogen and giving protection against cancer. They would also bind onto other oestrogen sites that control peripheral vascular activity, fooling the body into thinking that the ovaries are still functioning, and thus reduce hot flushes. 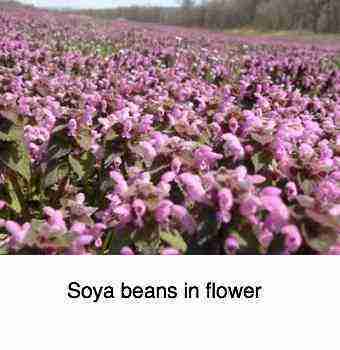 Isoflavones are found are located almost exclusively in legumes like soya. They are sensitive to heat being hydrolysed as in the production of soya milk; interestingly when fermented as in the production of miso and tempeh these isoflavones are changed to another form (called an aglycone) which are resistant to heat. If you consume plenty of legumes then you will also be less likely to suffer from the major cause of osteoporosis - a drop in hormones levels in the blood. Apparently phytosterols inhibit the secretion of a substance called IL-6 in the body which causes bone to release its calcium making bone osteopaenic and brittle. There have been concerns that the phytates in legumes may bind minerals including calcium, but there is no research indicating that tofu nutrition is a cause of osteoporosis. "Did she fall and break her hip, or did her hip break and so she fell?" Tofu nutrition is also great for the prostate gland as it contains beta sitosterol, that phytosterol that helps prevent prostate enlargement, the affliction of mainly older men, but certainly is not limited to them. The avocado is probably the best source of beta sitosterol, by the way. You may have heard of the Banting diet and, whilst I have to admit it has numerous virtues, like not feeling famished whilst trying to lose weight, by banning all legumes, I can't believe it's healthy; too many animal proteins. Instead perhaps consider this Banting diet rebuttal first if you need to lose weight by including tofu nutrition; it works. I'm totally against high protein low fat foods used in so many diets and shakes too, but tofu wouldn't qualify because of the omega-3 oil. The aim of this Chiropractic Help site is to enable you to be healthier; so many folk are so busy that they don't have time to eat properly and exercise adequately. That impacts on the body even more than subuxations probably; start with some lower back exercises every morning before getting out of bed and enjoying tofu nutrition twice a week. At Chiropractic Help you'll find plenty about healthy slow food, made fast; be sure to include tofu nutrition. 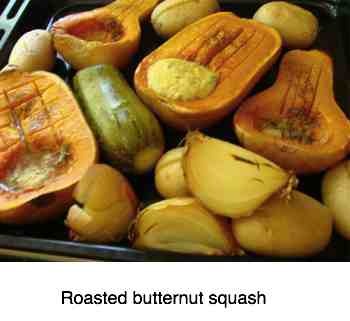 Like our roasted butternut squash recipe; it's so easy and healthy. Google appears to frown on too many links, so phrases in bold, like that above and below, need to be put into the Site Search function in the navigation bar on your left if you want more information. That's a scoop of hummus in one of the butternut; you could equally easily a generous spoonful of tofu nutrition. Apple Salad Recipe ... apples too are loaded with phytosterols.